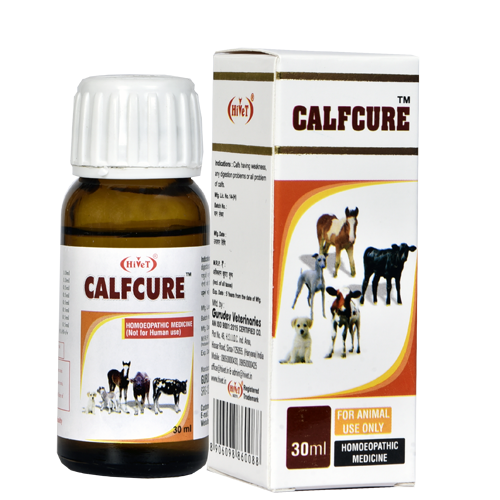 CALF :-	30-30 drops 3-4 times in Atta ka pera or Roti. PUPPS :- 20-20 drops 3 times in Roti or in milk. POULTRY :- 30 ml medicine Calfcure mix in every 180 Liters of water.